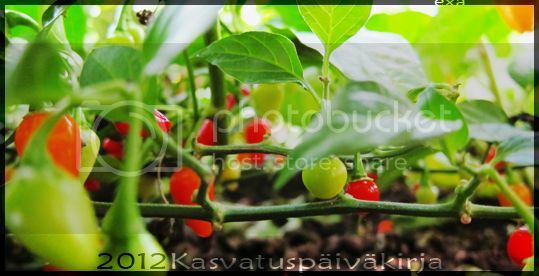 After bringing my chilis inside after the summer they all suffer from a bug that in Swedish is called "spinn" or "spinnkvalster", don't know in English but signs are spots on the leaves and spider-net like threads. I had Aphids (still have on some) but fought those off by spraying with tobacco-water and soap-water. That didn't help for the "spinn" though. Also, no bugs, but two of my bonchis have a bit of mold on the surface of the soil. Should I change the soil and keep spraying the plants? Must I remove all traces of old soil from the roots, ie clean them very carefully or is it enough to wash of most of it? Those are called Spidermites in English. As far as i know there's only two good ways to get rid of them, chemicals or manual removal. Im sure google has the information about the chemicals used, However if its a minor infestation it should be enough to remove them manually. Take some paper towels and gently remove the webs and mites from the plants. Alternatively cut off infested parts if possible and needed. Yes, those are spider mites in english. Neem oil can work, but you generally have to get poison specifically targeted for mites. Another thing to remember is that the mite eggs are usually not affected by any poisons, so you'll need to treat the plant again in 8-10 days to make sure you get any stragglers that were still in the soil. Might have to do that a time or two. Could you reveal the source of the information above? According to Wikipedia spider mites actually prefer a hot and dry climate, as opposed to a hot and humid one. Spider mites usually hide on the back of the leaves, thus spraying the back of the leaves with water (or with a pesticide specified to the insects in question?) should help you get rid of the problem. Last summer I encountered a minor spider mite problem myself and it kind of solved itself. Maybe spraying with an insecticide called Raid helped a bit afterall even if it's not the "proper" way to deal with spider mites. If I, however, were wrong about the climate issue, feel free to correct me. Well, google gave me tobacco-water as one poison that should work, and soap-water as another way that kind of suffocates them IIRC. But also several hits claiming that the soil should be changed. FWIW, after cutting down the plants to Bonchi and continued spraying with soap water, I think I got rid of the spider mites as well. They could come back, but if it goes mite free for 10 days, you can safely assume the problem has been dealt with. Ah, so 10 is the magic number of days... I believe I've passed that but I'll continue spraying for a while anyways.